Uber is refusing to settle down in the competitive app-based transportation business. After disrupting the 4-wheeler industry with cheap rides and car pooling, it is the turn of 2 wheelers now. Uber has officially launched UberMOTO in Bangalore, which provides bike rides on rent for Rs 3/km. Considering the crumbling road infrastructure in the city, and the unending traffic jams, this seems an excellent move to say the least. The industry is certainly excited, as transportation at such low rates will actually create an entirely new market, which was untapped as of now. There are some niche startups like Baxi (in Gurgaon), Rapido (in Bengaluru); besides N.O.W, Bikxie and M-Taxi. After the entry of Uber, we can witness an increase in their usage. Rumors are in that even Ola wants to launch a similar service. Bangalore is 2nd city where Uber has launched this service; last month, the same service was launched in Bangkok. Only selected areas in Bangalore like Banaswadi, Whitefield (hub of IT companies) and Yesvanthpur would be covered under UberMOTO today, between 7 AM and 9 PM. Uber has categorically stated that wearing helmets is compulsory in Bangalore, both the rider and the driver needs to wear them during the ride. All normal payment methods would be applicable while using this new service. The rates will oscillate between Rs 3 to Rs 5 per km (depending on the demand and supply ratio) and Uber will charge a 20% commission on each ride. Will UberMOTO Solve Traffic Issues In Bangalore? There are approximately 38 lakh two wheelers & 11 lakh cars in Bangalore, and with increasing population, traffic is a real mess in the city. 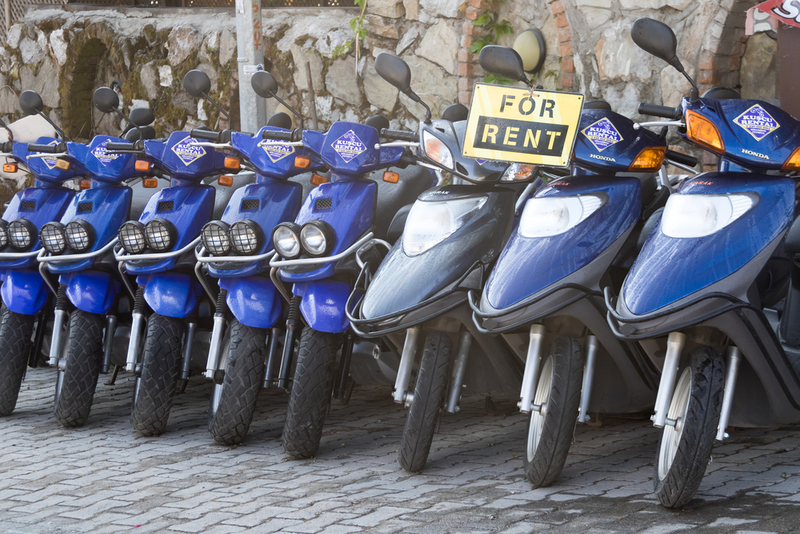 UberMOTO can encourage bike owners to share their rides, and it can in turn reduce the dependency on 4-wheelers. However, as per experts, women won’t be comfortable opting for this service considering the safety issues; and very few women bikers would be willing to offer rides to strangers. But yes, it’s a good beginning; and the results of this pilot launch in Bangalore will determine Uber’s future expansion plans related with UberMOTO in rest of the country. Will you opt for UberMOTO over normal cab? Do let us know by commenting right here!